Pin Money: Denim is having its moment.. MORE THAN EVER! Now, more than ever, designers are celebrating denim in a new, fresh way and it is through the denim, button up shirt. Now, and throughout spring 2013, almost every store will carry denim, button up shirts. Just like jeans, this shirt can be worn in so many different ways from edgy, to trendy, to chic that you will regret not buying one. So you may ask, “how in the heck can I rock a denim button-up shirt?” For the first time button-up denim shirt wearer, here are some fun ideas to get you excited about. Wear a denim button up shirt over a fitted dress. First, start with one of your favorite, fitted black dresses, or even one with a pattern. Keep the dress simple and basic though; don’t go for one with studs, chains, or zippers. The idea is to keep the look clean and chic. Next, layer your jean shirt , unbuttoned over your dress almost as if you were wearing it like a blazer. If your dress has sleeves, let the sleeves poke out the bottom of your denim shirt and don’t be afraid to roll up the sleeves a little. Top the look off with a fun pair of tights, a pair of riding boots or ankle boots, and a few chain necklaces, a watch and some layered bracelets. 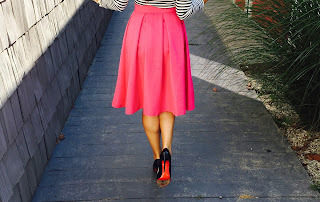 This look is so easy, carefree, and stylish. This would be a fresh look for a night out on the town or even for shopping during the day. Wear your denim shirt with a pin skirt to work. Most women may be extremely timid to wear anything denim related to work and that is understandably so. Denim still can have that casual connotation related to it- that is until now. One of the sexiest, chicest, and stylish outfits a woman can sport to work is a fitted denim button-up, with a pin skirt, a pair of great pumps, and a statement necklace. The look is so unexpected, yet works. It’s where your down to earth side meets your powerhouse side and creates an incredible look. Try ladies, it wont disappoint. Wear your denim shirt under a fun sweater. This look is perfect for first time wearers of the denim button up shirt. The look is timeless yet fun. Start with your denim button up shirt, and over it, layer one of your favorite sweaters. However, the look is best if you keep the sweater loud and fun. For instance, top your denim with a hot pink sweater, a neon yellow sweater, one with polka dots, or leopard print. Again, the down to earth look paired with trendier items creates a fashion masterpiece! Top your look off with your favorite pair of skinny jeans, a great pair of flats, and a true statement necklace. This look is definitely no-fail. I ordered a replica ugg shoe here. Replica Breitling watches When I received the shoes, it surprised me a lot. The shoes are perfect and the quality is exactly the same. A dazzling masonry.Replica Breitling superocean watches I introduced this website to my friends, and my friends liked it very much.